Buying food is an act that most of us do two to three times a week. With the increasing cost of food and decreasing incomes across the nation, more and more North Americans spend hours searching weekly circulars for the best deals. In an age when the best flight, hotel, book, and electronic deals, among others, are literally at our finger tips, the circular is clearly an outdated and inefficient way to search for grocery deals. Furthermore, without an easy way to compare deals, we are left at the mercy of retailers and marketers. 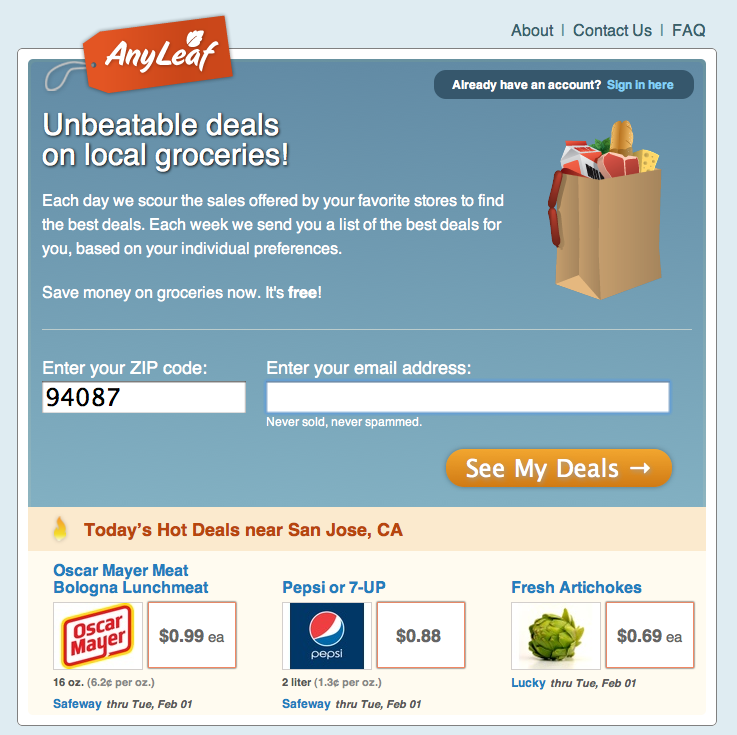 Y Combinator-backed AnyLeaf, aggregates grocery store sales to help you find the best deals. Every week they send you a list of these deals, based on your individual preferences. They see a huge opportunity to disrupt the current grocery industry by making it easier for consumers to access more relevant information and better optimize our food budgets. Even if you’re not a coupon clipper, I encourage you to read the fascinating insights about investor interest in the food industry, food industry disruption, human psychology, and data provenance, co-founder Jeff Hunter shares in our interview. Danielle Gould: What is the inspiration behind AnyLeaf? 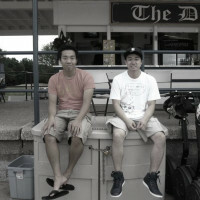 Jeff Hunter: Jason, Josh, and I (the three co-founders of AnyLeaf) have been renting a house together for the past few years. We all enjoy cooking and make frequent trips to the grocery store to shop for ingredients. At the same time, we’re frugal Midwestern boys and grew up in households where coupon clipping and buying what’s on sale was the norm. So when we go to the grocery store, we want to make sure we’re getting a good deal. Before we built AnyLeaf, we’d have a pile of weekly circulars sitting on our dining room table. We’d flip through them to find out what was on sale that week, but it was a frustrating process. Many of the deals weren’t relevant to us (for example, we don’t have kids and don’t care about diaper deals). Not all of the advertised deals were actually a good bargain. Sometimes stores put an item on sale just so that they can say it’s “on sale”, and they hope you won’t notice that it was much cheaper only a few weeks ago. And paging through weekly circulars is time consuming. We knew that the data contained in the stack of weekly circulars on our dining room table was valuable, but could be much more valuable if it were presented in a more useful way. So we set about collecting the data and building a large database of pricing information. We use that database to algorithmically identify the very best deals each week. Furthermore, we allow users to customize the deals that they see based on their individual preferences. So I no longer need to be distracted by diaper deals and vegetarians can choose to hide deals on meat. We’re building the product that we wanted back when we used to flip through weekly circulars. And for those people that currently throw the weekly circulars in the garbage, we think that AnyLeaf will allow them to take advantage of the sales being offered without all of the hassle. 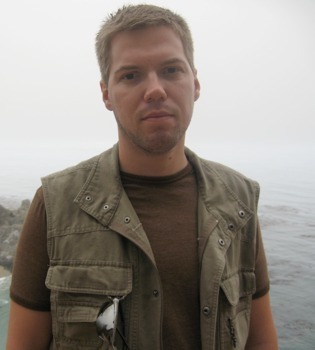 DG: Why do you think Y Combinator is interested in backing AnyLeaf? We intend to keep the product free for our users and we certainly have no intentions of cluttering AnyLeaf with a bunch of annoying display ads. Our first revenue stream will be premium advertising in our email newsletter. Each newsletter will have an exclusive sponsor and an opportunity for that sponsor to spend a bit of time telling consumers about their brand / product / service and perhaps offer a coupon. DG: Where do you get your data and what kinds of challenges are you facing relating to its quality? JH: For the most part we collect data from stores that post weekly sales information on the web. We have also experimented with using Amazon Mechanical Turk to collect pricing data. The data that we collect is not always organized very well. Part of the value of AnyLeaf is our system for categorizing and organizing data from different stores into a coherent whole. No two stores give the exact same name to boneless, skinless chicken breast, for example, but users want to see information about similar items in a single location. 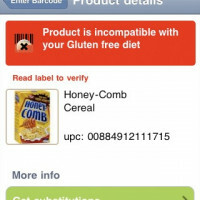 We have systems in place to identify products across stores which are logically the same and can be directly compared. By automating the classification of our data and applying some human sanity checks and quality assurance, we’re able to achieve a high level of quality. As we expand to more stores and more parts of the U.S., keeping all of our data categorized and consistent will be a challenge. We view investing in software tooling for accomplishing this as a key competitive advantage. DG: When we spoke, you said that the food industry is ripe for disruption. Why? 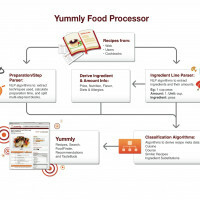 What opportunities do you think information technology create for innovating our food system? JH: In the case of AnyLeaf and the grocery market, we see an opportunity because grocery stores have traditionally been very slow to adopt and invest in consumer technology. Take a look at grocery store websites and you will see they are uniformly bad. They put their weekly circulars on the web, but it’s usually in some Flash format that is a huge pain to navigate. Safeway, one of the largest chains in the country, has no iPhone app. All of this presents an opportunity for companies like ours to innovate and disrupt the status quo. 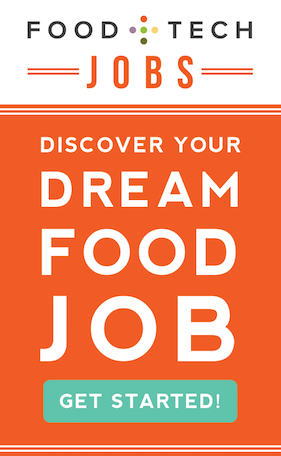 I think similar opportunities exist throughout the food industry. Traditional cookbooks are being replaced by powerful recipe search engines. People are becoming more interested in what they eat, and with smartphones and wireless broadband, it’s more possible than ever to learn about a product before you purchase. The food industry can be slow to respond to technological change, but this is a tidal wave that can’t be held back. DG: What are the most interesting or unexpected things you have learned so far? JH: When we first started work on AnyLeaf, we were very focused on the raw data. Stores put the items that you already buy on sale, so if you just shop the sales you can save a bunch of money. This is true and important. But what we came to realize as we talked with our early users is that the basic mathematics of saving money is only part of the appeal of getting a good deal. Also important is the psychic value of the deal. Getting a good deal makes you feel good. Being the first person to tell a friend about a really great deal that they’d be interested in is fun. People like to be seen in their social circles as a source of information on how to save money and get a good deal. People fall along what I’d call the mathematical – psychological spectrum of food deals. Some people just really need to save money. Maybe they got laid off and need to reduce their spending. Other people have plenty of income to purchase whatever they’d like, but think it’s fun and rewarding to find good deals. Instead of playing FarmVille, they play the “grocery shopping game”. Most people are somewhere in the middle. They want to save their cash, but also find getting a good deal intrinsically rewarding. To be successful, we will need to make sure that we appeal to both the mathematical and the psychological sides of the deal. DG: How has the psychology of deals affected the design of AnyLeaf? How are you leveraging this to improve user engagement? 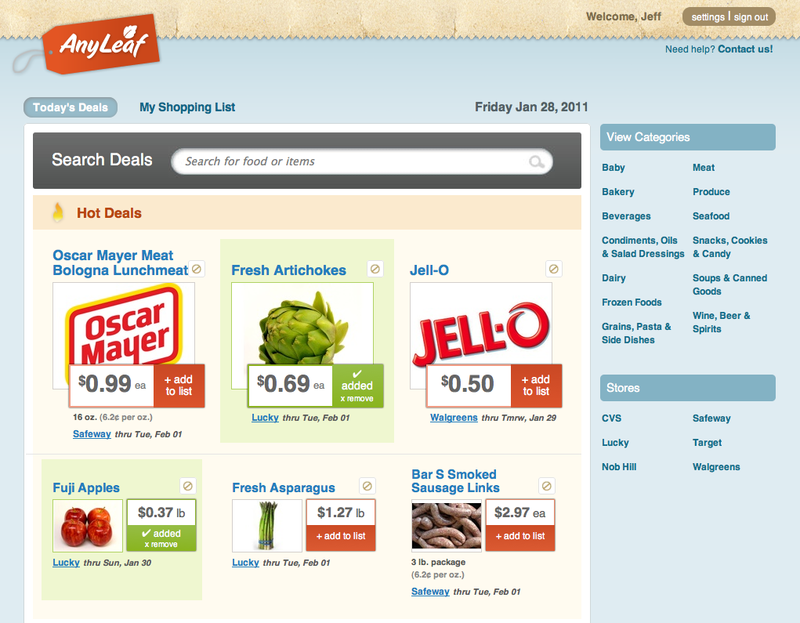 JH: Right now we’re mostly focused on the nuts and bolts of providing accurate and useful data about grocery pricing. That’s the foundation upon which we’ll build. We have several ideas in the works for bringing in more social engagement. Users could help us find the best deals by voting on their favorite deals and sharing those deals with friends. Users that are among the first to identify a deal that other users agree is a great deal could be rewarded for their efforts. We’re also considering features that will help users understand how much money they are saving over time. Saving $1 on a can of soup feels good, but knowing that you’ve saved $500 over the course of a year feels really good. All of this is still in the planning phase, but we know it’s important to our long term success.